From the Disney-made blockbuster Zootopia to the recent Shinkai-style animation feature Your Name, it is common to see one or two animations arouse a heated discussion among viewers every year, and 2016 was no exception. These hit animations may shape several vivid characters, have fascinating animation effects or boast an interesting yet rigorous storyline. However, they are seldom made in China. But that trend could be in the past. At the beginning of 2017, a nine-minute short animation titled Love Sick engulfed the internet. Since its initial release on December 23, the animation has already reached 100 million hits within ten days on Chinese social media platforms, including Vmovie.com, MiaoPai.com and Bilibili. In addition to its enormous popularity online, Love Sick has been critically acclaimed widely among movie-goers. It has scored a high grade of 8.8 points on Douban Movie, the Chinese version of IMDb. Reputed by quite a few netizens as the first touching animation in 2017 to bring you to tears, Love Sick has swept a wave of Chinoiserie for domestic animation productions. Originating from Love Pea, a renowned poem written by Wang Wei, as the creation inspiration, overall Love Sick tells a sentimental love story between a notable figure from the Qing Dynasty (1644-1911) called Wang Chutong and his childhood sweetheart Liu Niang. 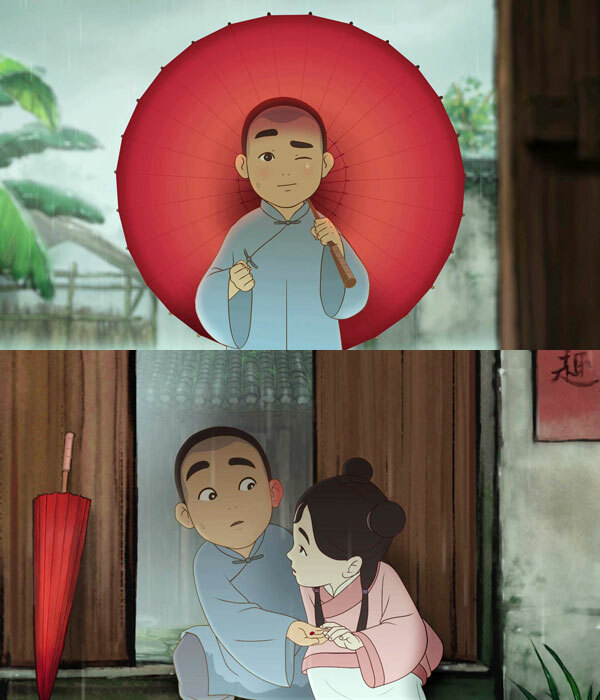 In the animation, they fall in love with each other but Liu Niang’s family forces her to marry a wealthy man, resulting in a failed marriage. After many ups and downs, Wang and Liu meet again and decide to take care of each other in the future as a brother-and-sister relationship, not as lovers. Actually, Love Sick is just part of the anticipated Chinese animation project “Jiading 800 Anniversary”. Jiading once was a county in ancient China and got the name in 1218 during the Song Dynasty (960-1279). In ancient history, Jiading is home to many scholars and dignitaries. 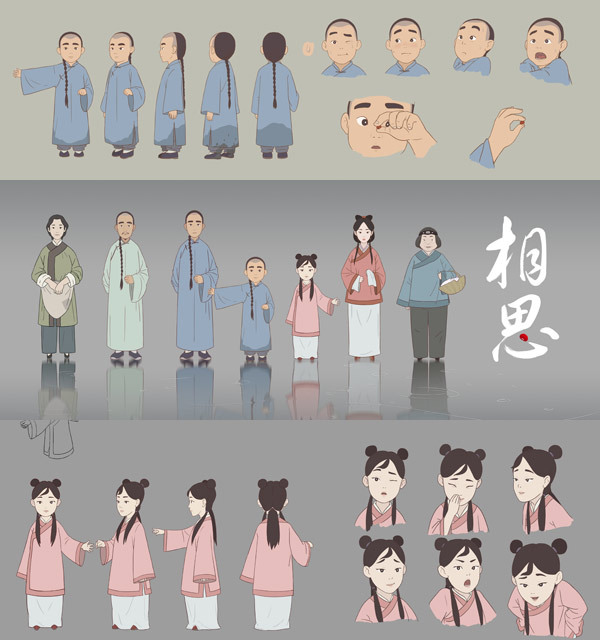 To promote traditional Chinese culture, the program picked 16 stories that happened here and adapted them into their own animations. Some stories may originate from local legends while others from poems. “The idea of translating Chinese poems into animations is amazing. When I was a child, I was forced to recite many poems for struggling with the examination-oriented education system. I couldn’t understand the complicated feelings hidden behind the lines. However, when I grew up and saw the animation, I, all of sudden, taste the strong Chinese sentiments behind the poems, and I think it is a new way to promote traditional fine culture,” Chinese Sina Weibo user Jasminetan said. “For modern people, social media including WeChat, Weibo and apps have become major information portals. People like to watch news and videos on these platforms. To some degree, traditional education on fine culture from books has been replaced already. Perhaps Love Sick has ushered a new mode to publicize our fine culture,” Professor Xu Zhaoshou from Northwest Normal University. How does such a short animation go viral go online? “To be honest, it is quality. I am confident to say everything in the animation stands the test of history,” Peng Qingzheng, director of the animation answered. “Upon making up my mind to do the program, I have tried my best to render the viewers a sense of reality,” Peng told. “From the background props to every word spoken by the characters, I have done a lot of studies to make them line up with the historical facts. I also invited historian Xu Zhengwei, who is familiar with Jiading history and culture, as my consulter,” said Peng. 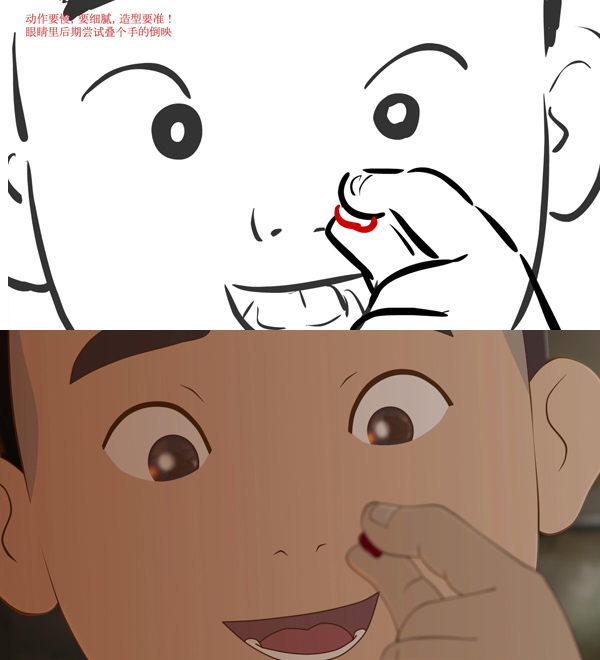 In addition, Chinese mountain-and-water painting skills and Chinese-style music have added glamour to the success of the animation. “To be honest, I am not a master of Chinese brush paintings. At the preparation stage, I bought many related books for studying. At the creation stage, I cooperated with my team members to integrate the Chinese brush painting style into many scenes. For instance, the speed and sound of raindrops may vary from time to time to reflect on the mood of the leading characters,” Peng said. “Also, it is worthwhile to notice that the background music, created by Yi Fenglin, is an essential part of the animation. The theme song is turning the Love Pea poem into a melody and having a child choir constantly sing it. Meanwhile, our team invited the musician Wei Zhuocheng to create six partitas on the basis of theme songs. When the characters are happy, excited, sad or desperate, we play different partitas to exaggerate the feelings, and it works well,” Peng added. As a matter of fact, the director did not plan to release the second part of the animation at first. “People may be accustomed to a happy ending from some Disney movies. But not every story should end in this way, as life is not that perfect. Sometimes, a story with a little regret and sadness can really touch the deep heart of viewers,” Peng said. However, given the enormous popularity of Love Sick and heightened expectation from animation-lovers, the director has to reconsider his idea. According to Peng, in comparison with the first part of the story told from the perspective of Wang Chutong, the second part will try something different and follow the storyline of Liu Niang, from the standpoint of a female. With regard to the specific content of the story, the director said that he had not reached an agreement with the screenwriter. Peng wanted to endow the roles with more character traits and interpret the Chinese-style elements in more diversified ways. Therefore, it will still take time to finish the final story. Many movie-goers have reputed Peng as the next Shinkai, but he did not agree with this. In response to his growing reputation, Peng said he sometimes feels stressed but usually finds happiness through his work. “Animation is my beloved career and my deepest interest, and it will not change, I am pretty sure,” the director said. “There is still a long way to go before reaching my goals. For example, I hope my works can hit the big screen in the future,” Peng added.